Hi there Electro House guys! 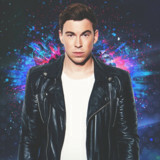 Here at Audiko we offer you to download Electro House ringtones for free. Possessing the largest database of free ringtones in all possible music styles including Electro House with all its variations including Rock, Pop, Alternative and many more! Here are breathtaking bands and artists of the Electro House genre of music including the most well-known stars such as Edward Maya, Black eyes peas as well as Dj Fox or DJ Light. In such a way, we have all Electro House ringtones for iPhone and mobile to download. Currently everyone listens to the hottest hits such as DJ Champion - No Heaven (Sonic Shockwave Electro House Remix by Sonic Shockwave and downloads them to their phones. Here you can find any Electro House ringtone to download in a couple of seconds! You can simply download Electro House ringtones to your phone from Mike Candys, Chuckie, Electrixx, Quintino and Tommy Trash or search for your favorite artist or band within Audiko’s free ringtone database. Be sure you will find one you need. Here at Audiko You Can Download Electro House Ringtones for FREE!